The Artios Academy of Arts and History teaches four core courses (history, theater, art, and music) within its weekly class days. All four courses integrate with each other through historical time-period. We teach these subjects in their entirety, which allows students not only to have knowledge of facts but also to have knowledge of the principles and purpose of the subject. All four subjects are taught in a hands-on, creative, and integrative way, all while being taught from a Biblical worldview. Subjects are integrated and include: History, Language Arts, Music, Art, Theater, and Science. Class runs from 10:15am to 1:15pm. Our Artios SmartStart program is designed to provide students in preK/K with a developmentally-appropriate approach to academics, while focusing on the whole heart and unique individuality of each student. Students will be immersed in our historical time period; for the 2019-2020 school year we will be exploring the Modern time period. Weekly integrated assignments will be provided for parents as a springboard for their learning at home. Integrating beautifully with the Academy program studying the ancient time period, this course leads students to enjoy reading stories and historical literature. Through the use of literature, the class will be introduced to basic literary elements and investigate grammar and its influence on composition. Students will enjoy learning how to write in the following genres: descriptive, narrative, expository and persuasive. Students will also be led through the process of writing essays. Through the use of games and each student’s writing, students will continue in their understanding of grammar and its uses. Make beautiful music together in the Artios MS/HS Ensemble. Students learn and practice the basics of music theory while learning and performing a wide variety of musical styles from hymns and spirituals to Broadway tunes and choral standards. A wide variety of repertoire will be performed with emphasis on time period music. The BJU Fine Arts Festival in the fall also provides an opportunity for the high school student to compete at the national level. This ensemble will consist of those able to sight-read, as well as students eager to learn. The ensemble will compete at the director’s discretion. 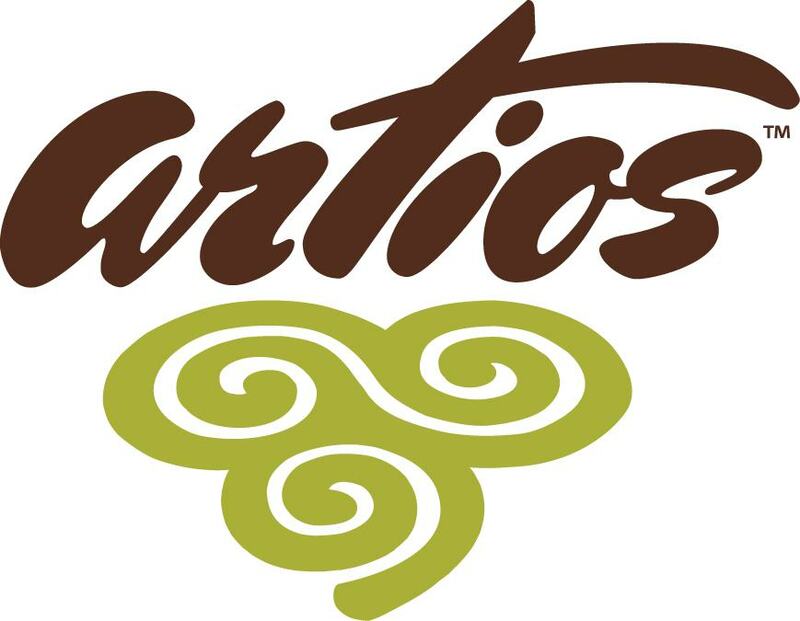 Ensemble membership is required of Artios Conservatory Music Majors. Requirements: Ensemble members who perform will need a black shirt or blouse, black pants or skirt, and black shoes for performances. Students who are required to compete at an arts festival and/or competition may be required to purchase a choir gown/tuxedo/suit. This is an introductory class that will cover the basics of ballet as well as jazz, musical theatre dance, and modern dance. Emphasis will be given on terminology and dance steps. Requirements: Jazz shoes, leotard and tights with skirt or shorts for girls, t-shirt and sweat pants for guys. This class will perform dance numbers in both the Christmas Show and the Showcase performances. Stage Movement/Dance Technique Class. This class allows 5th -12th grade students additional class time to practice and perfect their dance form and line. Customized to meet the needs, interests, and goals of individual students. Emphasis is placed on developing strong fundamentals and technique as well as improving performance and artistry. This class will help students who feel dance is a weak link for them and allow them to improve their craft and confidence. Ballet is a fundamental technique to all dance and will be taught throughout this course, along with other dance styles: Jazz, Musical Theatre, and Modern. This class will prep students for dance auditions and help them know what to expect and tricks to learning choreography quickly. This class will perform dance numbers in both the Christmas Show and the Showcase performances. If you decide to take all 5 conservatory core classes you will receive a $385 credit to your account. An introductory level class designed specifically for Artios students who are interested in gaining a comprehensive level of the technical and creative aspects that drive creative filmmaking. With hands-on instruction, the students will learn how to shoot, light, and edit their own short digital film. This introductory course covers the history of photography, the anatomy of a camera, the foundational and technical aspects of photography (exposure, depth of field, lens focal length, etc.) and the basics of lighting and composition. Lessons learned will be applied practically by shooting assigned projects. The goal of this class is to develop the student’s confidence with their equipment and to artistically train their eye. Requirements: Digital camera with focus capability. This class is a continuation of classic studies, focused on raising the skill level of the student in their aesthetic approach and technical abilities in various drawing/painting techniques and materials. Drawing/Painting Studio will continue to develop the student’s understanding and application of the elements & principles of design, employing both replication exercises and direct observation, drawing from still life, landscape, architecture and the human form. Art supplies will be required and will be specified at the beginning of the year. Students will learn God’s Word as the foundation to understanding the world around them. Reading, class discussion, scripture memorization and engaging lectures will help the students to better grasp the core doctrines of the Christian faith and better understand their own beliefs. Students will be expected to read the assigned material and to engage in the class conversation by asking questions and responding to other students and the instructor. This course seeks to help high school students better grasp and deepen their faith in Biblical truth in an era of pragmatism, false tolerance and a denial of absolutes. History of the time period being studied in the Academy rotation will be included in our research and discussions. Curriculum: Summit Ministries Understanding the Faith Series. Students will be expected to perform and analyze several scripts throughout the school year. This class will focus on classical texts, specifically Shakespeare, but may introduce texts from the medieval time period through the Baroque. Students will be expected to show proficiency in memorization and body/vocal control before moving from this class on to Advanced Acting. If proficiency is not demonstrated, students may repeat this class. Requirements: Plays will be assigned at the discretion of the teacher. Students may also be asked to provide scripts or monologues of their choice. Students are required to participate in an arts festival. Requirements: Placement test for theater knowledge may be required if intro to Theatre class hasn’t been taken. Students learn literary analysis through studying common elements (context, structure, and style) and literary elements (conflict, plot, setting, characters, and theme) as they read and discuss the selected literature for the time period (or influenced by that period). Vocabulary: Development of an extensive vocabulary is important. The required literary works at times contain resplendent word usage for our study and future use. We will revel in the wonderful language that is presented in our literary choices. In addition to reading and discussing, students may be asked to participate in class projects and presentations. Requirements: Textbook: Artios Home Companion Series and selected books (see Course Syllabus). Downloadable class schedule and class offerings below.